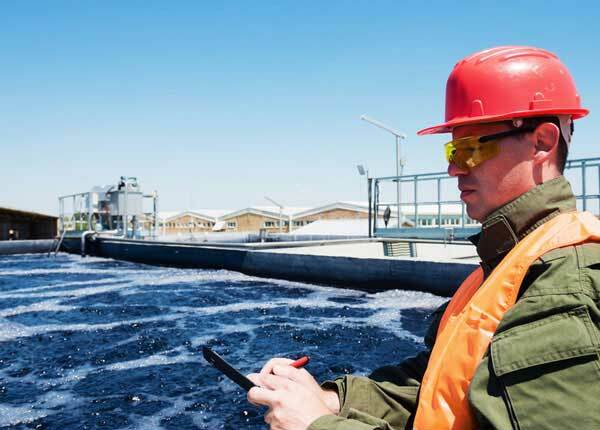 Dissolved Air Flotation (DAF) is an effective process used for the separation of suspended solids, oils and greases, and other insoluble impurities from water. The Aries DAF systems use chemical pretreatment and micro air bubbles to separate contaminants from water. 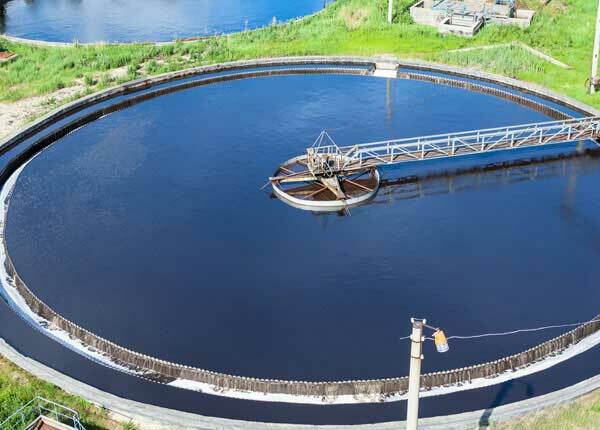 Pretreatment of wastewater lowers total suspended solids (TSS), oils and greases, biochemical oxygen demand (BOD), and metal concentrations. Some of the DAF clarified effluent is recirculated and supersaturated with air under high pressure. 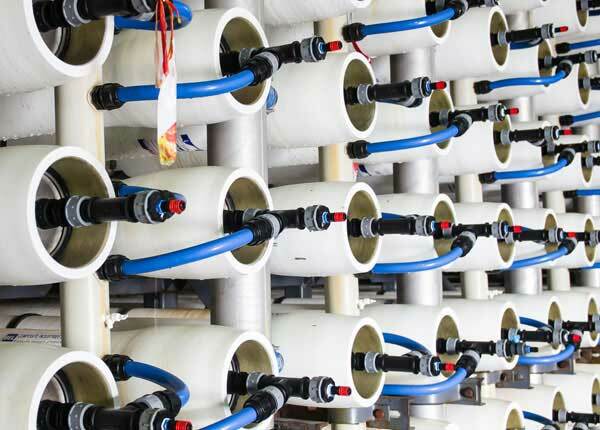 When this water is released into the skimming tank under atmospheric conditions, micro-bubbles form and carry the suspended solids to the surface for removal. Listed below are a few of the applications in which a DAF system is efficient and cost effective. 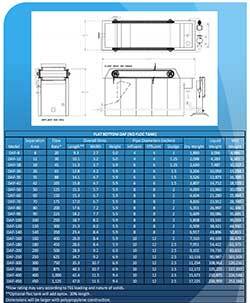 Aries Equipment Engineers can custom design and manufacture a DAF pretreatment system for your specific application. The chemical pretreatment using pH control, coagulation, and flocculation optimizes the surface properties of the contaminants for micro-bubble adhesion. pH control is utilized to manipulated the influent to the optimum level for flocculation. Coagulation neutralizes the charge on the individual particles, canceling the existing repulsive forces between them. The coagulant is fed into the influent pipe and the pH control chemicals and flocculant are fed into the flocculation section. 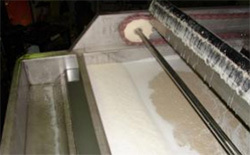 Flocculation involves the addition of a long-chain polymer, which causes the particles to connect together and form larger flocs**. A variable speed mixer or serpentine influent pvc piping is tailored to enhance mixing of the chemicals. The recycle pressurization method is responsible for adequate loading of air bubbles into the system. 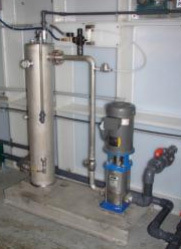 High pressure (~100 psi) recirculation system supersaturates the water with air. When this water flows into the wastewater floatation tank micro-bubbles (~30 µm) form. The micro-bubbles adhere to waste particles and cause them to float to the surface where they are removed with a sludge flight system. 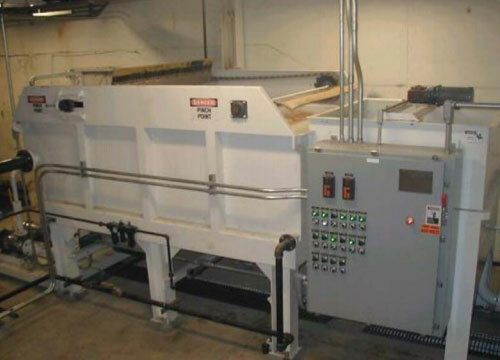 The low maintenance sludge flight mechanism is composed of a Polymeric chain system with the head shaft driven by a Browning mechanical speed reducer with a roller chain and sprockets. Flight constructed of 304SS with chemical and heat resistant wipers drag the float over the beach and into the sludge sump. The weight of the flight system is sufficient to provide a squeezing effect at the beach as the flight carries the float over the beach to the discharge sump. 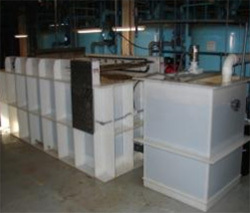 An automatic sludge transfer system with a level control device pumps the sludge from the sludge section into sludge holding tanks. 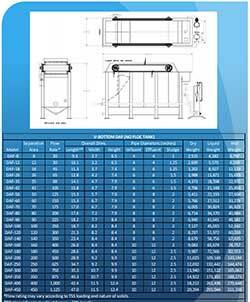 To determine the feasibility of an Aries DAF for your process or application, Aries may provide bench scale jar testing to determine removal efficiencies and floatation characteristics. 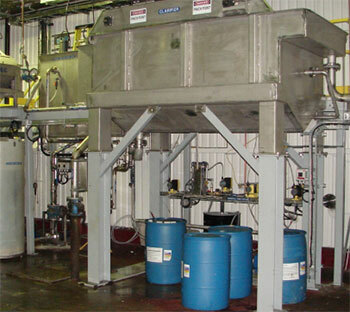 Selection of a cost effective chemical program can also be provided. 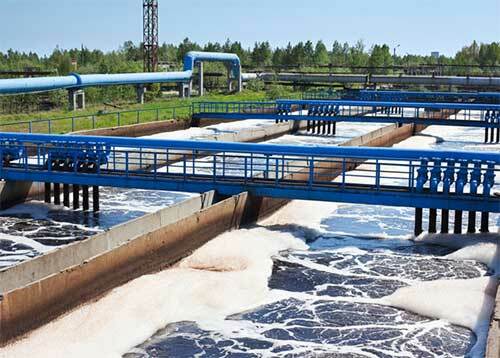 Our evaluation of your wastewater samples allows Aries to determine several DAF design variables. Upon testing completion you will be sent a lab report outlining the benefits made possible by adding a DAF to your treatment system.